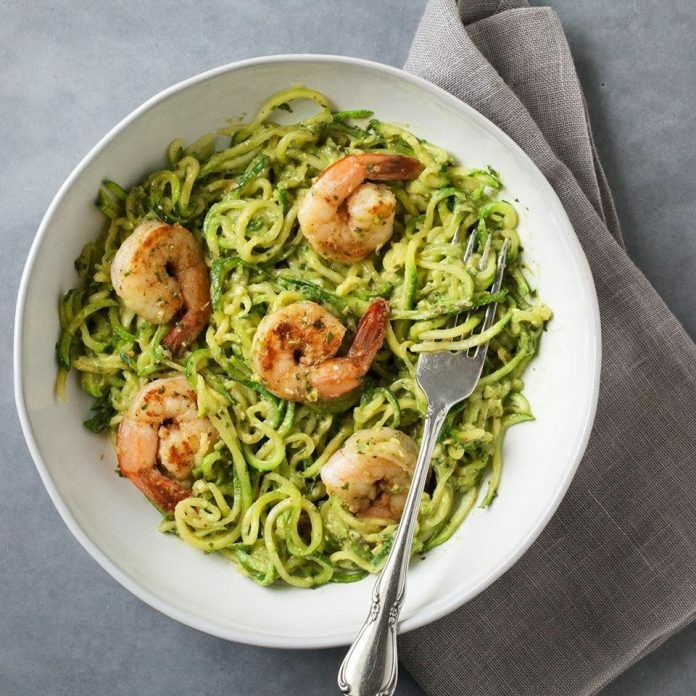 Cut some carbs out of your diet and use spiralized zucchini instead of regular noodles in this zesty pesto pasta dish recipe. Top with Cajun-seasoned shrimp to complete this quick and easy dinner. Heat 1 tablespoon oil in a large skillet over medium-high heat. Add garlic and cook, stirring, for 30 seconds. Add shrimp and sprinkle with Old Bay; cook, stirring occasionally until the shrimp is almost cooked through, 3 to 4 minutes. Transfer to a large bowl.